The Kremlin appears to have begun taking practical steps to narrow local carriers' choices in new, expensive equipment made outside of the country, a move that high-ranking government officials heralded a couple of years ago. This month, the Kremlin denied an import license to Aeroflot low-fare subsidiary Pobeda for 30 additional Boeing 737 Max jetliners. Meanwhile, the Airbus A220-300 failed to acquire local certification, effectively stalling plans by Moscow-based Red Wings to take six of the narrowbodies from a local lessor. The turning point hinged on an export-import policy passed last year, when the Kremlin ruled that any airline with a large government stake should apply to the Commission for Import Substitution for permission to buy imported jetliners in any deal valued more than 1 billion rubles ($15.6 million). However, until this month, authorities imposed few, if any, noteworthy restrictions. On March 14, Moscow newspapers reported that Pobeda received “a piece of advice” from the commission to shift its focus on future purchases from the 737 Max to the locally made MC-21. The directive happened on the same day the Russian civil aviation authority Rosaviatsiya grounded locally operated 737 Max jets in reaction to the crash of Ethiopian Airlines Flight 302. The case provoked negative press coverage, which, however, failed to change the minds of the decision makers. Yuri Borisov, the deputy prime minister responsible for Russia’s military-industrial complex, called "speculation” the reports’ claims that the commission used administrative power to force airlines into reconsidering their acquisition plans in favor of domestic products. “It is the end user whose interests are of paramount importance to us...I mean the citizens of the Russian Federation who receive the [air transportation] service,” he explained. Formerly the deputy defense minister responsible for equipment procurement, Borisov now heads the undercommission for the military-industrial complex. “The Commission wants to keep the Russian market for the Russian manufacturers…while not harming the interests of the consumers, meaning the [Russian] populace,” he proclaimed. 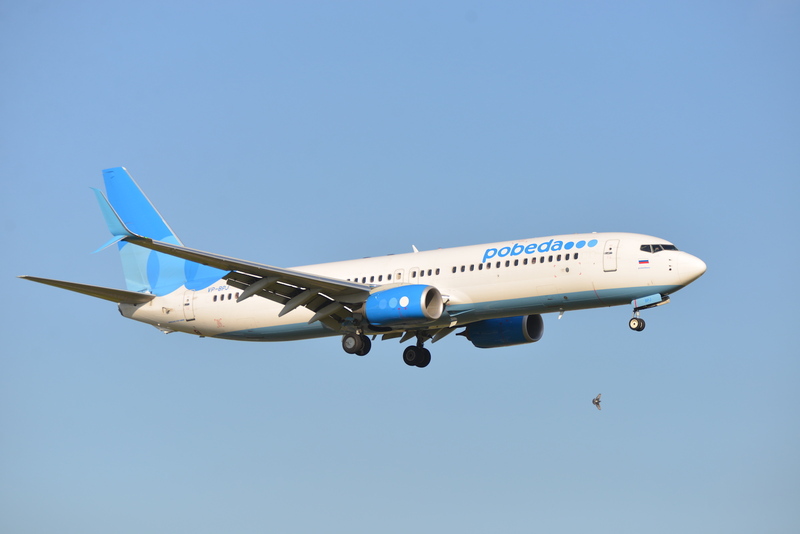 Now flying a uniform fleet of 26 Boeing 737-800s, Pobeda had received government permission to procure the 20 Max 8s in 2019 to 2021. Expanding rapidly, the carrier now seeks 30 more aircraft for delivery from 2022 onwards. However, the undercommission chaired by Borisov appeared to ignore the commonality benefits the Max would have brought to the LCC. “Our airlines file numerous requests, not only for the Boeing 737 Max or Airbus A320, but for other foreign types as well,” Borisov told journalists. “[When considering to grant them permission], we always take into consideration whether we have a local analogue.” Members in the undercommission added that “no one” wants to disrupt plans for expansion. At the same time, however, they reminded Pobeda’s management that their patrons at Aeroflot have recently volunteered to buy 100 Sukhoi Superjets in a bid to triple the size of the current fleet of the locally-made aircraft. Meanwhile, Red Wings acknowledged a failure of its earlier plan to take six Airbus A220-300s starting in May 2019. The carrier’s general director Eugeny Klyucharev told journalists that the airline “had to withdraw from the project, ”while offering no clue of the reason. With no new aircraft arrivals this year, Red Wings must abandon plans to open “several additional routes” for the summer season. Rosaviatsiya has so far refused to issue a type certificate for the A220, thereby making it impossible for interested local carriers to operate that type, in any case.